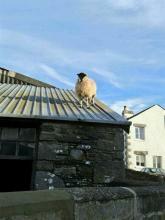 If playwright Tennessee Williams had written the play Cat on a Hot Tin Roof about wool production rather than cotton he might have put a sheep on that roof instead. Holy guacamole! A dutiful farm dog from southern California not only loves to eat avocados, his unique way of 'polishing off' the pits seems to prime the seeds for germination. Snails are usually seen as garden pests, aquarium inhabitants, or, at best, escargot. However, snails can also be cute and cuddly when they are a plush Beanie Boo "Scooter." Oooo! Look! I didn't know I could get breakfast in bed around here! What a hoot! 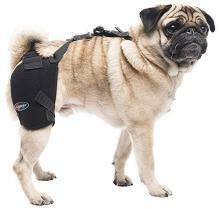 Ice And Heat: That's What Your Arthritic Pets Need Too! Have you hurled, er, heard about these weird 'barfing' mermaid animals inspired by Singapore's unofficial mascot, the Merlion?